The Castle of Ranton is a small fortified castle which was built to defend the town of Loundun at the beginning of the Hundred Years' War. The castle was constructed in a dominating position above the valley of the Dive river, probably on an earlier fortification that stood on the site. The main towers and the ramparts that are still the remarkable features of the castle were built around 1340. In addition, a second wall was built outside the dry moat to protect the access to the village. The fortress played its military role until the end of the 14th century. It was then turned into a more comfortable residence and the ownership passed through several aristocratic families that were generally associated with the Courts of the French Kings and the Dukes of Anjou. Many parts of the chateau were rebuilt in Renaissance style in the 16th century. 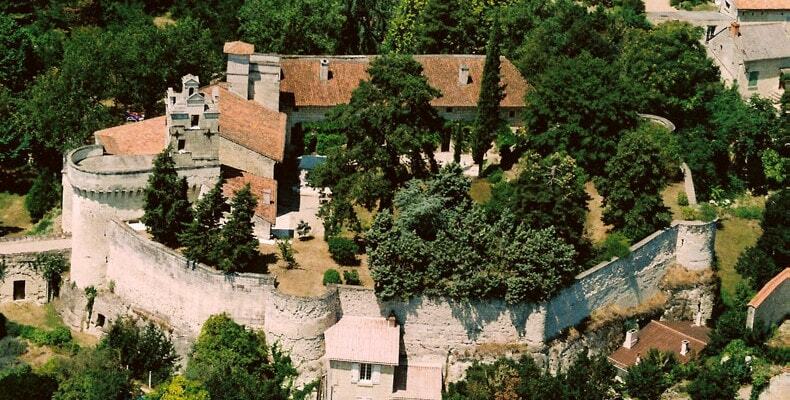 During the Wars of Religion, it housed a series of Protestant families and in the early 17th century, the castle escaped destruction by Cardinal Richelieu. In the French Revolution, the castle was abandoned for some years during the Terror. It then changed hands several times and at the beginning of the 20th century, it fell to the local schoolmaster to preserve as well as he could the vestiges of the past. By the end of World War II, the castle was little more than a ruin. Restoration works started in the 1950s and were carried out in three phases. The castle is now elegantly furnished with antiques and fine paintings and it offers luxury accommodation for groups from 4 to 12 people.